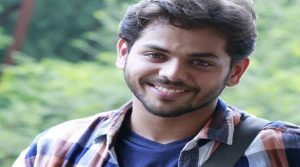 Shivraj Waichal is a young actor from Pune. For his education, Shivraj went to the CBSE School Jnana Prabodhini Prashala School and later to Bharati Vidyapeeth’s College of Fine Arts to pursue his college education. In 2015, he was also seen in a lead role for the movie titled Phuntroo. 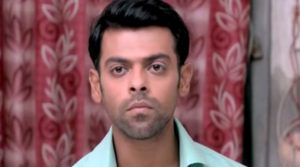 In this, he starred with actress Shivani Rangole, who is also his co-star for the Zee Yuva serial Bun Maska & they also worked in a same theatre group. Bun Maska was one of the first TV shows to be launched for the youthful Marathi audience channel Zee Yuva. He also acted in the movie YZ in 2016. Shivraj also worked with Pune-based theatre group called Theatron Entertainment. Working in plays such as The Case of Mistaken Identity (based on Sherlock Holmes), Bhanvar, ‘202 Elina’(a pantomime act) and Anathema (Horror Humour combination play). His other works include being a director for ‘Kettakatha” at NCPA’s Centre stage Festival in 2012 and being a writer, director and actor for the played titled Ullagaddi, based on the Uttarakhand floods. Missing your role of saumitra. Serial we’d really gearing up so nicely. But why you stopped so suddenly?